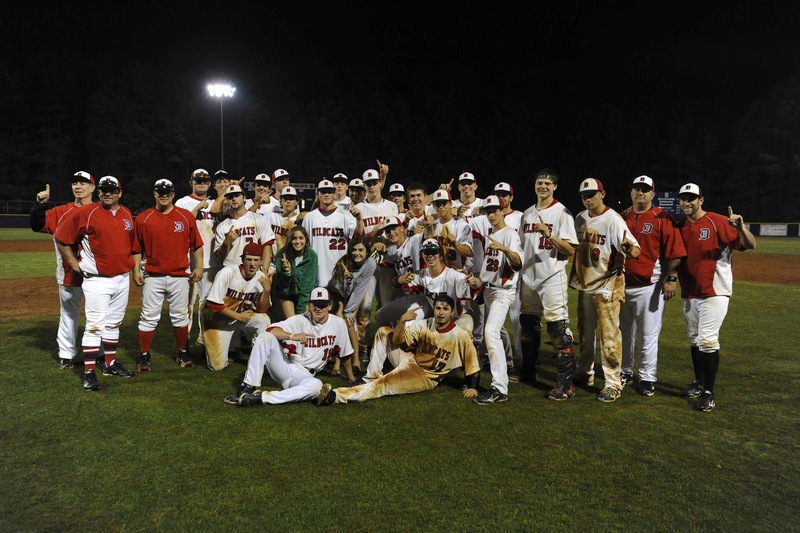 Dunwoody Wildcats baseball team hosts home playoff games on Friday. The 6-AAAAA champions, Dunwoody Wildcats, begin their quest for a state championship Friday, May 3rd. The team will play a best of 3 against Riverwood High School. A doubleheader will be played Friday beginning at 4:00 p.m. and followed by a single game, if necessary, on Saturday. All games will be played at the DHS Baseball field. 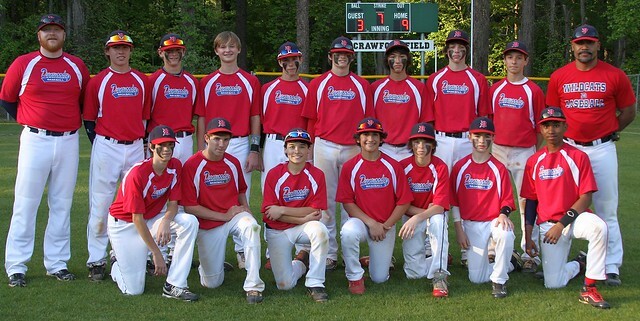 Come out and cheer on the Dunwoody Wildcats baseball team!!! Click here to view the entire AAAAA playoff schedule. DCPC meets monthly on the first Wednesday of the month (unless noted otherwise), starting with refreshments at 8:45 am. The meeting starts at 9:15 a.m. and ends by 10:30 a.m. 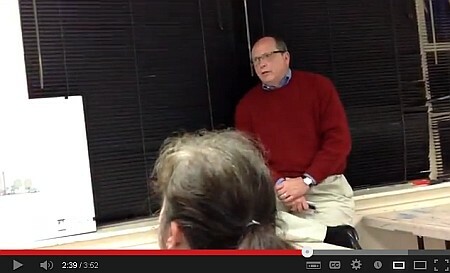 Meetings are held at various public venues within the Dunwoody-Chamblee area. Meetings are open, and topics are geared toward the interests of parents and guardians with children in Dunwoody and Chamblee schools in the Dekalb County School District. There is no charge for attendance. All Parents are encouraged to attend. For more information, go to http://www.dcpc-dekalb.org. The Harris Jacobs Dream Run (HJDR) was created 20 years ago to serve our community by providing a fun, active & family-friendly event that honors the memory of Harris Jacobs- an influential leader in the Atlanta community. It is the mission of the Harris Jacobs Dream Run to provide, through scholarships, the opportunity for EVERY child to participate in our sports programs and activities. Join us in 2013 for the 20th Annual Harris Jacobs Dream Run! Both the Fun Run/Walk and the 5K Road Race begin and end at Zaban Park and follow a course through family-friendly Dunwoody neighborhoods. AJC Peachtree Road Race Qualifier - Want to start near the front of The Atlanta Journal-Constitution Peachtree Road Race in 2014? Run our race- now a certified course- and use your time to qualify for a start wave. The quicker your qualifying time, the closer to the front you start. Chip-Timing – All 5K runners will be chip-timed to ensure that your event is as successful as possible by providing professional, accurate timing results and excellent customer service. Half-Mile Agility Fun Run (Ages 12 and Under) - Cheer from the sidelines as your children dodge cones, hop, crawl under, run, skip, and crawl over cool stuff in our obstacle course by the CIA lake. All Agility Fun Run finishers receive microfiber high-performance youth shirts. All pre-registered 5K runners are guaranteed one microfiber high-performance Harris Jacobs Dream Run short sleeve t-shirt in their requested size and cut (women’s or men’s). We can’t guarantee size or cut for Race-day runners. Register now and get the shirt you want! TEAM CHALLENGE - Back By Popular Demand! Form a team of at least five runners/walkers; the team with the fastest average time (top 5 times) wins the challenge! Family Fun! Bring the family and stick around for our huge post-race party with food, music, raffles, inflatables, moon walks, face painting, and more! Form a running team within your community! Recruit at least five runners to pre-register for the HJDR. The team with the fastest average time will be named our Dream Team Challenge winner and receive special honors and awards. Parking for this event is available at Georgia Perimeter College. Shuttles to the event begin leaving at 6:45 a.m.
We will host more than 500 runners again this year. All pre-registered runners are guaranteed a microfiber high-performance Harris Jacobs Dream Run short sleeve t-shirt in their requested size and cut (women’s or men’s.) We can’t guarantee size or cut for Race-Day registrants. Register early and get the swag you want! If you would prefer to contribute by volunteering for the race, that’s okay with us. Sign up today! “Like” our Facebook page for the latest in race updates and runner giveaways. Our sponors help ensure EVERY child is able to participate in the MJCCA's sports programs and activites. Become a sponsor today! Download complete details about sponsorship levels and benefits. For more information please contact Kayce Pearce, 678.812.4147 or kayce.pearce@atlantajcc.org. Sunday Ice Cream Socoal at the Farmhouse followed by educational town hall meeting. Please join us for this fun family event on Sunday, April 28 from 2:00-4:00 at the Dunwoody Farmhouse. 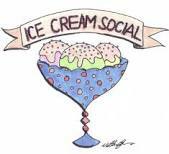 There will be lots of delicious homemade ice cream to sample, music, and celebrity ice cream judges, including Mayor Mike Davis. Admission is only $5 and all proceeds will go to help the Dunwoody High School band program. After you treat yourself to some yummy ice cream, head on over to the Town Hall meeting at Dunwoody UMC to discuss education issues in Dunwoody. Look for rescheduled date in mid-May. You won't want to miss this magical event! With carnival games, Quidditch, a live DJ, and food, this carnival will be fun for children of all ages, regardless of whether or not they have read the Harry Potter series. All proceeds go to Team Summer and Camp Sunshine, two locally-based organizations that assist children with cancer. Admission is $2 or 2 book donations. 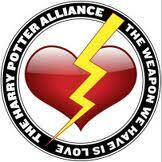 Hosted by the Dunwoody High School Chapter of the Harry Potter Alliance. Dunwoody Stream Clean-Up this morning (Saturday) at 9 a.m. - old Shallowford Hospital Site. Please join us. On Saturday, April 27, City staff and community volunteers will be grabbing galoshes and heading to the creek. The City is focusing on cleaning the length of the Nancy Creek tributary adjacent to the 19-acre Project Renaissance site. We will begin at 9 a.m. at the north point of the creek adjacent to 2030 Pernoshal Court and clean as far south as we can—the more volunteers we have, the more we can accomplish! This location is the very back of the old Shallowford Hospital site and please be sure to bring your working clothes and creek shoes! Here is the winning team from Peachtree Charter Middle School. Final score: 9-3 over Marist. DHS - Headed to State Playoffs !!! 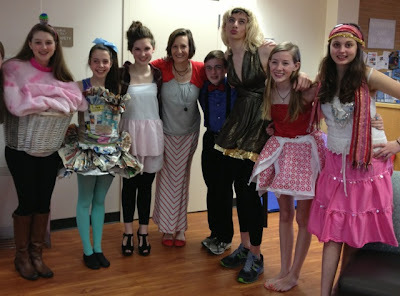 Peachtree Charter Middle School Odyssey of The Mind Team are State Champs!! Headed to World Finals!!! Here is our PCMS Odyssey of Mind Team - State Champions - heading to World Finals at Michigan State University, May 22nd - May 25th. Millions of kids have been working hard all year perfecting their solutions to Odyssey of the Mind problems and competing within their regions and states. Only a few will advance to World Finals - these teams represent the best of the best creative minds. Teams from around the world will compete in the 34th Odyssey of the Mind World Finals. The competition emphasizes creativity and teamwork and has grown into the largest international creative problem-solving competition worldwide. While the competition is fierce, there is also a feeling of camaraderie among competitors. Many students form life-long friendships that span the U.S. and the globe. At World Finals, teams have the chance to learn about other cultures through a common goal . . . to be as creative as they can! Good luck to the PCMS Odyssey of the Mind Team!! This week progress on the trail became more tangible with crews completing more than 900 feet of concrete for the 12 foot wide multi-use trail. Over the next several weeks crews will continue additional trail grading and leveling work and pour concrete for the remaining portions of the trail, all following careful compliance with the approved trail path construction documents. In early April, City of Dunwoody inspectors and staff met onsite with two representatives of the Georgia Environmental Protection Division (EPD) to discuss site monitoring activity. The EPD inspectors determined all EPD requirements regarding erosion and sediment control were in compliance with Georgia EPD regulations and that the project was adhering to proper regulatory procedures. This most recent EPD determination was consistent with the March 1 EPD site visit to inspect the erosion and sedimentation control measures installed by the City. Following that visit, the EPD inspector concluded the City was going above and beyond state requirements to manage the construction site effectively. As completion of Phase I of the trail takes place, the City has begun site surveying for Phase II of the trail, a three quarter of a mile, 12-foot wide multi-use concrete trail that will complete a 1.5 mile loop within the park. 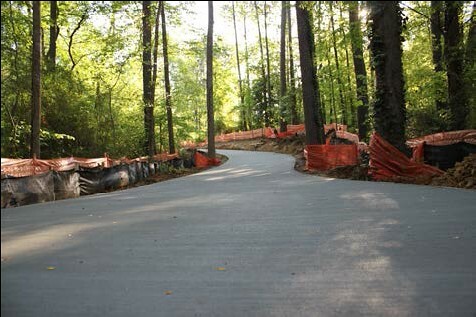 The City of Dunwoody is committed to encouraging and facilitating active citizen engagement and plans to hold an open house in June to outline plans, answer questions and receive public input for Phase II of the 12-foot wide concrete multi-use trail. Throughout the Phase I & II multi-use trail construction, the City will continue to provide periodic updates to the public. The public will be notified of this open house once a firm date in June is set. The City has installed a concrete curb for the construction of the new sidewalk project on Womack Road across from Dunwoody Elementary School. The curb was necessary for construction of the sidewalk and was specifically located to permit the potential future addition of bike lanes. As one of the few east-west corridors in the City with three adjacent schools and numerous neighborhoods, Womack Road is identified as a future bike route in the City's transportation plan. It is anticipated that bike lanes could be added on Womack between Tilly Mill Road and Vermack Road at relatively little cost during future repaving of the road. The new enhancements are part of the City’s sidewalk improvement plan, created to provide an objective process to prioritize the City’s sidewalk projects. The City has identified 13 miles of future sidewalk improvements to add to the 22 miles already in existence. Work also continues to improve sidewalk accessibility by adding curb ramps and repairing uneven and broken sidewalks. Crews will be active over the coming months with this project as well as planned sidewalk projects on Meadowlake Drive and sections of Valley View and Happy Hollow roads. The completion of these sidewalk projects will add infrastructure benefits valued at more than $800,000. In addition, at the April 22 City Council meeting the Council passed a budget amendment funding $300,000 for sidewalks on Hensley Drive and Mount Vernon Way and funding an evaluation of pedestrian safety improvements in school zones. A certified member of the GBI Cybersafety Task Force will conduct a two-hour session on crimes against children Thursday in Dunwoody. 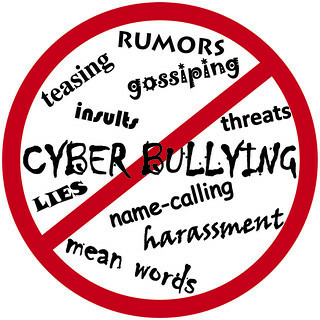 Shelby Day will emphasize “cyber bullying” against children and advise adults how to protect children from the online attacks. The free event begins at 7 p.m. Thursday at St. Luke’s Presbyterian Church, 1978 Mt. Vernon Road, Dunwoody. Video of meeting will be held at 7 pm at the link below. 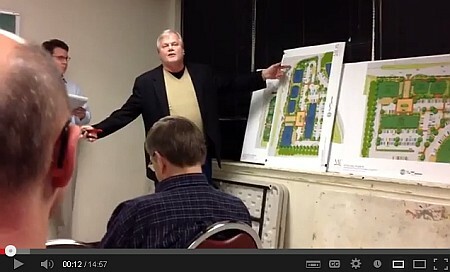 Below is the Presentation to the Dunwoody Homeowners Association a couple of weeks ago where there was a lively discussion regarding the proposed curb cut on Ashford Dunwoody. Recap - major item on agenda the Berman Commons Assisted Living Facility was deferred until the next meeting for council needing more information not available in city packet. Everything else was passed as presented. Parents for Quality Education in Dunwoody call a Town Hall Meeting for Sunday April 28th, 5 pm at DUMC Fellowship Hall. This idea has moved very quickly. A May 1 deadline for the Letter of Intent and Fall deadline for the charter petition have driven a sense of urgency.Nonetheless, the charter cluster option is too important and complex to press forward without a community forum in the next two weeks (date, time, and location coming soon). Discover a landmark new address in Dunwoody, less than one mile from I-285. Blending charming streetscapes and sweeping green spaces, Dunwoody Green is the city’s most dynamic new destination with a collection of new homes and paired townhomes connected by sidewalks and a new city park in a unique and walkable design. It’s a one of a kind neighborhood that brings the vision of new urban living to life – where friendly front porches, long afternoons in the park and quiet evening strolls blend seamlessly with incredible convenience in the heart of Dunwoody just minutes from all of Atlanta. No matter what home you choose you can rest assured in the superior quality you expect from John Wieland and the protection of the Wieland 5 Year – 20 Year Warranty, homebuilding’s best. New homebuyers will also enjoy the opportunity to personalize their new homes at John Wieland’s exclusive New Home Design Studio with the assistance of a dedicated designer. Administer Oath of Office to Newly Hired Police Officer Ian Fein. Recognition of Sergeant Patrick Krieg. Proclamation: National Arbor Day and Earth Day. Award of Contract for 2013 Capital Paving. Approval of Contract Amendment with C.W. Matthews for 2012 Capital Paving. 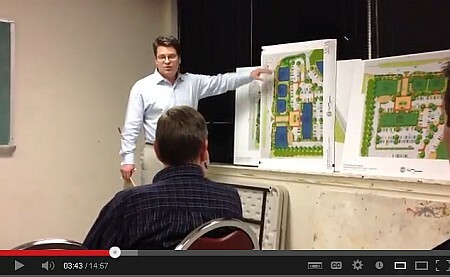 Approval of Tilly Mill at North Peachtree Design Contract Amendment. Resolution: Approval of Budget Amendment to Fund Additional Sidewalk and School Safety Improvements. Award of False Alarm Vendor Contract. 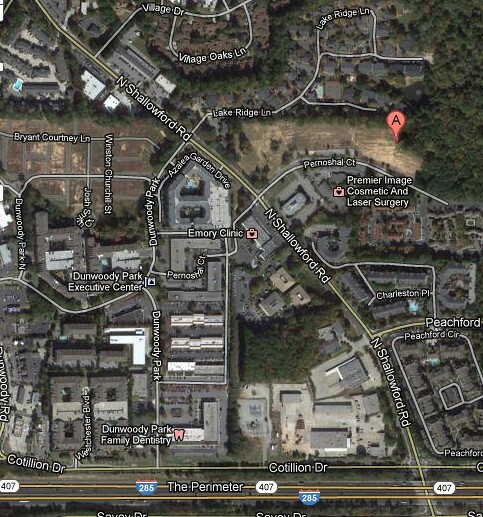 Public Hearing: Land Development Waiver Request for 5342 Tilly Mill Road and 2026 Womack Road. Dunwoody Nature Center and the City of Dunwoody Sustainability Commission help residents divert landfill waste. As Dunwoody residents take part in the age-old tradition of spring cleaning, what to do with old or unusable household supplies can be a mystery. To help demystify the process, the City of Dunwoody, with the support of Atlanta Paint Disposal, is sponsoring an Earth Day paint recycling event on Monday, April 22, 2013. 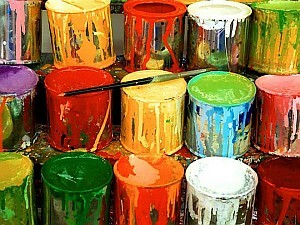 Residents will have the option of dropping off unwanted paint at two locations: Dunwoody Nature Center 5343 Roberts Drive or Brook Run Park 4470 North Peachtree Road, near the skate park. For a fee of $1 per gallon, residents can drop off any unwanted latex paints and promote healthier air and water quality in the process. Both locations will be open for drop-offs from 8:00 a.m.- 1:00 p.m. Oil-based paints will not be accepted. Ready to go green? 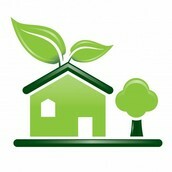 The Dunwoody Sustainability Commission has partnered with the DeKalb County Green Commission and the Decatur Environmental Sustainability Board to offer the 2013 Green Expo—a free local green vendor shopping and educational workshop. The event will be held on Saturday, April 20 from 9 a.m. to 1 p.m. in the Conference Center at Georgia Piedmont Technical College (495 North Indian Creek Road, Clarkston, GA 30021). The City Council Work Session will begin at 6 p.m., with the City Council Meeting to follow at 7 p.m. Both are held at Dunwoody City Hall, 41 Perimeter Center East, Suite #103. Click here for the meeting agendas. 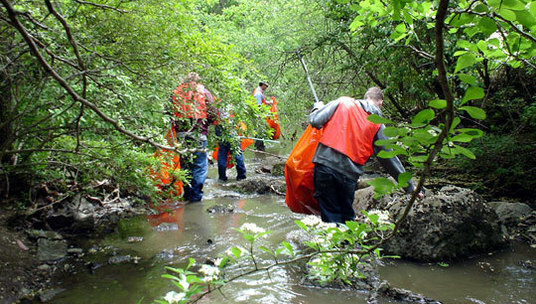 The City will be cleaning the Nancy Creek tributary for our stream clean-up event! We will start at the north point of the creek adjacent to 2030 Pernoshal Court and clean as far as we can—the more volunteers we have, the more we can accomplish! Please contact Drew Cutright if you would like to sign-up to volunteer at drew.cutright@dunwoodyga.gov for stream clean-up. Be sure to bring your working clothes and creek shoes! The seven members of Kingsley Charter Elementary School's "D.I. 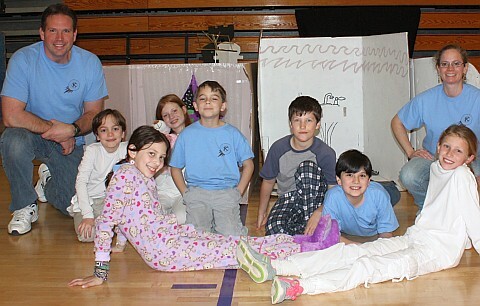 Doughnuts" Destination ImagiNation team have spent this year learning to work together to solve creative challenges. At the state competition in April, they finished second in their division, qualifying them to compete at the Global Finals international tournament, to be held in May in Knoxville. The possibility to compete at Global Finals is very exciting, but it is also expensive. To help defray some of the costs, the team is actively raising money to attend the four-day event. The team is hopeful they will be able to raise enough funds to be able to take advantage of this rare opportunity to compete at the highest level and meet other kids from around the world. All contributions are tax deductible, and every little bit helps. Please visit our site today and consider making a donation…the campaign on Crowdtilt ends April 29th. 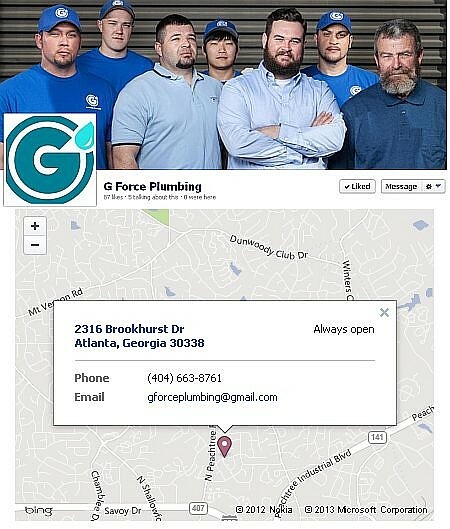 G Force Plumbing, my and Dunwoody North's trusted plumbing professional. 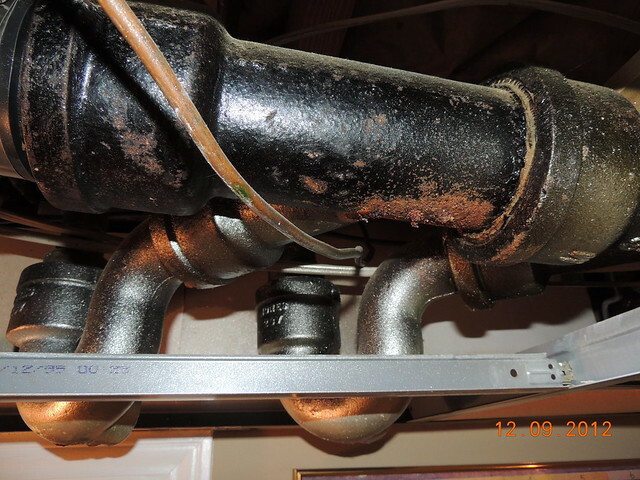 My friend and neighbor, Mr. Jeremy Gibbs (and his lovely wife Kimberly) are the proud owners of G Force Plumbing and they are who I called when my old cast iron pipes were rusting through from the inside out and had my entire interior system replaced. G Force is the trusted plumber of the Dunwoody North Driving Club and of numerous neighbors. This year G Force is a proud sponsor of the Lemonade Days Festival in Brook Run and will be available this weekend to discuss any issues that they could help you with be it big or small. 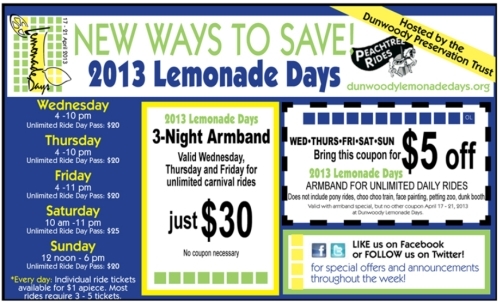 Lemonade Days starts today! Click here for schedule of events & coupon for unlimited rides. 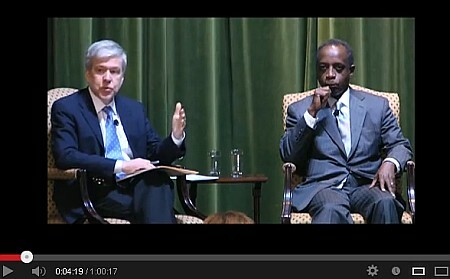 In an event hosted by the DeKalb County Chamber of Commerce and Leadership DeKalb on March 27, 2013, Interim Superintendent Michael Thurmond shares his vision with Denis O'Hayer for revitalizing the school district and restoring full accreditation. Many of you have known Michael Thurmond, if not as Interim Superintendent in the brief time he has held the job, certainly in many of the other jobs he has held. He has been the state director of DFCS. Prior to that he was a state representative, former labor commissioner. But he said the thing he's proudest of are author, historian, and a proud father of a daughter who somehow lost her way and is now in the media. Please welcome DeKalb's Interim Superintendent, Michael Thurmond. We'll start just with a real tiny little question. The accreditation process from SACS talks a lot about governance. But one of the most important things, obviously, is to try to take what happens at the board level and bring it down into the classroom, or keep the focus on the classroom. What's the link among governance, board, teaching, and then ultimately what goes on every day for every child in this county? Great question. First, I want to recognize the 4 members of our newly re constituted board. Of course governance begins at the top. But, as you really understand the definition and I think there was some confusion that when SACS mentioned the issue of governance in the DeKalb County School District, we focus almost exclusively on governance at the board level. But, governance actually encompasses the entire organization. It's how, not just board members interrelate to each other, but is how we relate and communicate with every person that works in the school district as well as all of our stake holders. So, what we've done is taken a more holistic approach. We're reaching out through the MLA governance center to interview various stake holders through out the district. From the various communities, parents, teachers, with focus groups but also some parent groups that may not have been heard from. We're also talking to students. We're talking internally. But the first thing we have to do is open up the lines of communication. We have to be transparent. And in order to govern effectively, and in the invocation this morning, I think the gentleman spoke best. The first criteria is, in order to govern anyone first you must be willing to listen and you have to communicate the fact that you will respect the opinion of all people even those that may not necessarily disagree with. One of the things and Arnie mentioned the conversation I had with Oglethorp's president, Dr Lawrence Shawl. It was yesterday, he brought up what we were just talking about. The link between governance and student achievement and his argument was certainly the new board members will help with the governance and getting that going, but he's not sure how directly they can affect what goes on in the classroom. DeKalb has tried to get off of an achievement plateaus, so how do you then put all of those together so that achievement goes up. Listening is a start, but what specifically do you have in mind to work on what happens in the classroom. Well this board and myself has set improving academic achievement as a priority. Resolving the issues with SACS is immediate. The long term we have to focus on redirecting our focus, attention, and resources to improving academic performance in the classroom. We do that through governance. Number one, and hopefully, you will hire a Superintendent who is focused. And that has to be communicated through the senior management, two regional Superintendents, principals, then the people that they hire. You set the model by, and one of the things that we're doing at the last board and even in my discussion, it's not just the compensation about SACS. But it's about recognizing that number one, we have an extremely diverse student population. But excepting and believing that every child given the opportunity can achieve and can learn. It's about refocusing priorities and the agenda in that ??? What about resources though, it's one thing to say OK we want the children to be, each child to believe that he or she can achieve. How do you plan to dedicate the resources and can you move things around to do that, to get them more focused at the classroom level? Well first, we have to get our fiscal house in order. That's one of SACS' mandates. Right, and that should be one of our mandates irrespective of SACS. We've been granted the public trust. That requires us to manage the resources that we have in a way that will support academic achievement and accomplishment in our classroom. Obviously, we are suffering like every other school district cause of a lack of resources. But that does not excuse us from taking advantage of the resources that we do have. Think about it, the DeKalb property digest 6 years ago was about 27 billion dollars. Today it's roughly about 18 billion dollars. You and I know that the primary source of revenue of any local school district is ad valorem tax. That's had an impact. Also recognizing that the state of Georgia, facing budget challenges, has cut local funding by several billion dollars since the beginning of the recession. This is a confluence of events that makes it extremely difficult to manage. But we will not offer as an excuse what the state is doing or the state of the economy. We have a corporation that actually oversees the expenditures of nearly $1 billion dollars. $730 million general fund dollars. We will do a better job of using the resources that we have to accomplish the goals that we set. I think we've lost our way at some point to be honest with you. We've gotten caught up into the politics and to what I call the adult mess. We've gotta refocus our attention from the adult mess and focus it on making sure we support the efforts of our students. Does that mean, specifically, moving resources from central office to classroom? Or, is there enough really to make a difference there? Or, at some point, do you have to, despite everything that this district has gone through and there is a timeline on the back of your program that gives you the recent history. Do you go to the voters and say look we've lost property tax revenue. We're going to have to ask for a tax increase. I don't think we can do that until we first demonstrate to the public that we are properly managing the resources that we have. Then and only then will we be able to ask anyone to provide additional resources. In many instances, we need more money, but money is not necessarily the issue. It's how we govern. It's our principles and whether we stick with those principles. We're eliminating right now a $16 million dollar deficit in the current fiscal year. My CFO came to me shortly after I was appointed and stated that we think we are on track to significantly reduce the deficit this fiscal year. But in order to be certain that we are moving in the right direction, he recommended, and I agree, to implement a hiring freeze across the district. But, with a caveat. The hiring freeze will not impact teachers or indirect/direct classroom instruction. The hiring freeze is at the central office. To me, that ??? articulating to our employees and to the broader public that we are putting the classroom and teachers first. Even if we don't have but one dollar, that dollar ought to be spent supporting our classrooms, supporting our teachers, and improving academic performance. Brings up a question that we got from the teacher point of view. DeKalb, right now, is losing teachers to neighboring school districts. We've had four years of furlough days in the system. So, you've got to retain the teachers you have. The experienced teachers. Number one, do you have a plan to retain them? And, number two, how do you evaluate the teachers you have to make sure you have the best ones? Well that's an ongoing process. And there were non renewals this year for some teachers who were not performing up to standard. But that's true in any profession. You will always have individuals, for whatever reason, who don't perform up to standards and you have to make those decisions. But, at the same time, the reality is what it is. And, this is what I've said as I've traveled around the district talking to teachers. And not just teachers. And one of the things I want to clarify. Everyone is important. Obviously our teachers are primarily important. But, if our bus drivers don't deliver the kids to school on time and safe, there is no school. If our cafeteria workers are not there providing the food for breakfast and lunch for our students, it makes it even more difficult to learn. One of the principles, one of the ideas, one of the concepts, is that I'm communicating. There will be no big 'I' and little 'U's. Everyone is important. And by encouraging that type of understanding I think that ???. Being honest with individuals. One of the challenges, one of the aha moments from talking with many of our employees is that they have not been properly informed or educated to understand the connection between not receiving salary increases or increase in furlough. And, the budget crisis. And some of you all will be surprised. But there was a disconnect between connecting the current economic crisis with some of the financial decisions that have been made. So, what you have to do is, you have to be honest. Many teachers, administrators, stay members said look. This is the first time in years we've had an opportunity to engage the Superintendent and the senior staff in a conversation. You cannot lead if you do not communicate. Even bad news, delivered honestly and fairly, will generate support from the people you are trying to lead and for the people you are trying to serve. Is there a plan right now to set up evaluation systems for, not just teachers, but then all of the folks you just talked about? Well absolutely. That's in place. There's a lot of good news and good things occurring in DeKalb. And, two of the best things you will hear from a two hour star student. When I was talking in a situation in a gathering similar to this. And one of the things I encourage all leaders and I talk to Leadership DeKalb. I had a conversation with them. The current class who claims that they were the best class ever. That when you go into a crisis situation, you should always avoid deficit driven strategies. And it's not just a crisis situation, but that's life. You've been in meetings in your community, in your church, at your business, in your neighborhood, where you spent minutes if not hours discussing all the things that are wrong. That is a deficit driven strategy. I suggest that what I have adopted are asset driven strategies. I look first at assets in a situation. And for all of my friends that come up and offer me my condolences because I've taken this position, I look at 'em and wonder. I really don't understand what you're talking about. Because there are challenges and there are problems, but the assets and the opportunities outweigh the challenges. And one gentlemen asked, what asset do you have in DeKalb right now? And I said, Look. First thing is we have 98,000 assets and those are our beautiful, bright and intelligent students. And once you recognize that, the other problems pale in comparison to the opportunities that we have. Let's pick up then on what you had when you came in. Dr Atkinson, when she was here, was starting to put together a plan for the district going forward. And, so have you had a chance to look at that? Is there anything about it that you want to carry forward? One specific question was, Do you have any plans to restart the DeKalb Education Foundation which was, at least for the moment, stopped under Dr Atkinson? What I've done. I've reached out to some of our corporate friends. And as we become more healthy in the district, we will be asking them to support the foundation so that we can provide some non profit support for the efforts that we are ongoing in the school system. I didn't have the opportunity to meet Dr Atkinson. And every leader comes with a vision, with a plan, with a program. Some strategies, some initiatives are successful and some are not. But you can learn from both. And one of the things I've come to understand is that you can learn more from one failure, one defeat than you can from a thousand victories. And one of the lessons learned, that we are engaged in right now, is that you must communicate. And you must be transparent and you must engage all of your stake holders, internal and external. You can't make it. The second thing I'm learning. It's really been fascinating, the tour of DeKalb County. Last night I was in Brookhaven. I met with the mayor and council in Brookhaven. And the mayor, by the way, is the son of a former colleague, Max Davis you covered in the General Assembly way back in the '20s. Denis O’Hayer and I have been around a long time. Just in talking to the residents of DeKalb County. North and South, East and West, and if you listen intently and with purpose, and actively. You can find so many opportunities for common ground. But yet, if I travel from my house there in Stone Mountain, as I did one Sunday afternoon up to Dunwoody. It was just a 15 minute drive. But sometimes, politically, it felt like two thousand miles. What we have to recognize is that some of the dysfunction that we face at the school board is really dysfunction in the county. And it was representative of the dysfunction in the county. But we have to find common ground via bridges and do what's best for our citizens and particularly our student. We had a great meeting in Brookhaven last night. A former state senator, Dan Weber, he has a plan that focuses on creating high school charter systems where you really decentralize authority all the way to the high school level. That's not necessarily my belief, but I do believe where we do share common ground is that we are going to decentralize some decision making, some resources from the central office to the regional level. Right? When our Area Superintendent, Dr Pringle, sitting there ????. We need to, I've always believed in any situation I've gone in is that decisions made closest to the delivery of the service of the product are better, more effective and efficient. So, we have over centralized some of the decision making into the central office at DeKalb. We are going to change that and you will see evidence of that in our F.Y. '14 budget. Because we are so diverse, I can't sit like the Wizard of Oz behind a curtain. And make decisions about the 138 schools that serving an extremely diverse population without input from the people who are closest to the point of delivery. And those people are the teachers and principals, and the support staff in the school. That will change. And I think we will end up with a more effective school district with better results. Is there anything in what you inherited from either Dr Atkinson or going back to Ramona Tyson. Is there anything they did you said, We can go forward with this? Or, are we really starting from scratch? Absolutely not. We're not starting from scratch. This is a result. What we have today is a system that was developed over decades, decades. One of the things, because I'm a historian, you have to really do what I call, develop an institutional history of any and every agency. And we may be upset or confused by a particular policy or regulation. But you have to understand the history of that policy and the history of the regulation even before you can determine whether or not you will continue it or change it. So, you learn from mistakes as well as from successes. And there have been more successes than failures, but you have to be honest. You have to recognize it, learn from your mistake but don't dwell on it. And that's what I'm saying to DeKalb county and to the people I work with every day as well as the citizens. We will learn from the mistakes that have been made and I will be the first to admin there have been mistakes that have been made. But I'm telling you, I'm not dwelling on them. My focus, my attentions is on the future and doing what's best for the young people in this district. What I encourage, and I've talked to Ernie, and we've had several conversation and I want to thank Ernie for his leadership. 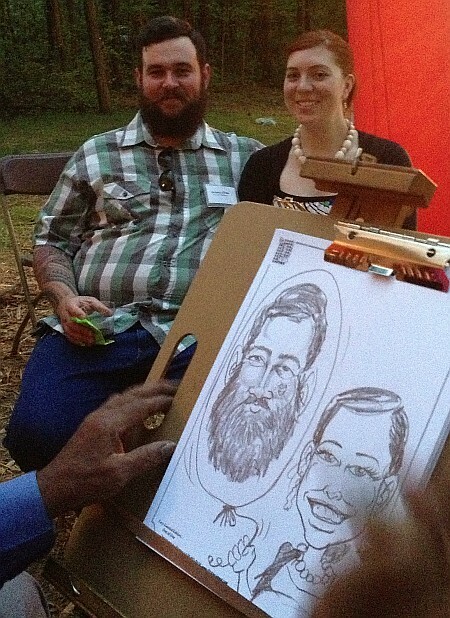 And Leonardo and Diane, who decided not just to criticize, but to engage and try to support and assist. What we have to understand, and it's interesting, and I hear it a lot when people say, Well you know twenty years ago, thirty years ago, we had a great school system in DeKalb. How many times have you heard that? And there's no question that we did. That does not prevent us from having a great school system now. But what we have to recognize is that the school system that existed in DeKalb 30 years ago, that population, is not necessarily the population we are trying to educate today. That population did not have 71% of its students qualifying for free and reduced lunch. Just didn't. Not that children who qualify for free and reduced lunch can't learn and can't be successful. And I know for a fact that they can, because I qualified for free and reduced lunch. I am a living, breathing example of the power of public education. Right? The son, grandson, and great grandson of 3 generations of Georgia share croppers that could not read or write. Right? And so for people that doubt or don't believe that public education can't be successful and is being successful every day, look at me. Now, what I also know is that we have to be honest about who we are. One of the most surprising things about, what I've learned about DeKalb, nearly 20% of our student population are either English learning or their parents speak English only as a second language if they speak English at all. We've not engaged or understood the great opportunities that presents. Now one of the mistakes that we did make was that we fired all the interpreters. OK ... right? We did it. Now that's a mistake that I will acknowledge. When 20% of your population, and I don't know why I'm surprised, because when I was practicing law over at ??? ?, our office was over on the Beauford Highway. I used to ride up and down Beauford Highway to go to lunch and I would see Vietnamese, hispanic and the different signage and various businesses from all over the world. I love to go to the Supermarket over there in Clarkston. I see foods and exotic vegetables and fruits and desserts from all over the world. And I used to wonder who's buying this? I have no idea, it was just amazing to me. And then there's the Farmer's Market on Beauford Hwy is even more exotic. That is because there is a socio-economic demographic transformation taking place. Our school district is still operating in the 20th century mode. We have not made the transformation which we will have to make, which we are making, which we will make because that is the future. Children 18 and under represent 20% of the population. They represent 100% of our future. All children. And all children with the right support and right resources can learn and can be successful. And you just opened the door to the elephant that is already in the room. Which is, race and class and not just black and white as you have already implied. The question is then, how do you keep the people who are thinking about saying, I've got to get my kids out of the school system because of the problems it has or because of reasons of their own. And keep them involved and their political leaders involved to make sure the district has the kind of support it's going to need financially and politically to move forward. That's the question that often times and not just in DeKalb, but throughout America. Public education is a euphemism for race and class. We understand that. We studied the history of public education, particularly in the South, and it's always been racially charged. From its inception, post ?? ?, post Civil War, Georgia, all the way up today. Often times the steps are ordered and you don't really know how or why. Forty two years ago I graduated from far central high school. It's interesting. In the fall of 1970, those of you from Georgia, something historic from the South in Georgia. That was the year we consolidated all black school districts which were then with predominantly white school districts. We were the first consolidated class of clark central high school ????. I was 18 years old and that was the first time in my life I had a conversation with a white person my age. And that was the South. For eleven years I went to all segregated schools and the only people I interacted with were other African Americans. During the 42 years hence, the classmates I didn't get a chance to meet or desired not to meet when I was in high school, I've had a chance to get to know them over the years. It's been interesting. My most famous class mate I wanted to meet and stay in touch with was Kim Bassinger. For some reason she does not return my calls. But we've changed. We like to think that 40 years, and that's 4 decades, but look folks. For nearly 400 years you had nearly 250 years where African Americans were denied any access to education. Right? Then you had another 150 years where we were separate but equal. And in 40 years, look at how much progress has been made. You cannot undo and change three to four hundred years of history in 40 years. But we have to recognize and celebrate where we are, but keep in perspective where we need to go. That's why it doesn't bother me when I meet people who may have not evolved on the race issue. Or may have subtle or unrecognized issues. This nation addressing the vestiges of a history that luckily we put behind ourselves. I don't damn anyone for it. I would challenge you to reach out and help people to understand. You have to go to the various communities. You have to open yourself up. That's what I've tried to do over these 40 years and we've made progress now. What's interesting and apt, is during those 40 years we had class reunions, but we still had 2 class reunions. We've come a long way, but we still have a long way to go. This young man, who was in the vanguard of this new history of public education now has an opportunity to begin to address the future of public education in Georgia. We might wish for the good ol' days when it was just white folk and black folk at each other's throats. It was simple then wasn't it. But, it's not that simple anymore. I think this presents us with a great opportunity to change the conversation, to be more inclusive, to open up our own minds and attitudes, and recognize that if you're going to have a successful business, if you're going to be a successful leader, if you're going to be a successful anything in the 21st century, you must have skills sets that will allow you to engage and work with and understand people of different races, cultures, creed and ethnical and ????. You just have to. Then on top of that, you have people saying I need to get out of this school district because of what's happened in the last 5 years, the last 10 years, the problems this district has. So, you've got Dunwoody talking about leaving. How do you go about keeping folks involved because of their moral, financial, political, support. And it's not just Dunwoody. See, I was talking to Dr Howe who is over instruction. We look at Dunwoody and we might criticize them, but if you really think about it. Majority to minority, is a system to move what exceptional bright kids from a large population of kids that may not be as equally as bright to a more segregated location. Right? That's what that is. If you really look at it. Theme schools as well as charter schools as well as private schools and all of those are ways in which we are trying to deal with a problem. What I'm saying, what we have to do know is, of course, continue to support our gifted kids. But, at some point, we got to deal with the problem of people, young people, students, who come from high poverty background. Right? Who may not live in our neighborhood, who may not attend my school, or may not even live inside my district and recognize what we have ... and it's OK to be self interested. This is what I say to parents a lot on that issue. You must be self interested about your children. You don't have to apologize because you're self interested in ensuring your child gets a good education. Should you ... no. Not to me, not anyone. But leaders, this is what we talk about in Leadership DeKalb. You must develop what I call enlightened self. Because enlightened self interest will help you understand why it's important for you to be involved in helping other people's children get a quality education. Let me tell you why, and I love to do this. How many of you all were born, raised and graduated from a high school in DeKalb county? Raise your hand. Always less than 5%. That meant that the rest of us were educated somewhere else, right? And it was paid for by taxes from other people. You can't raise my daughter and your daughter and your children in an enclosed, insulated bubble. I want my daughter to come of age in a world where there are opportunities, not just for her, but also for her friends and colleagues. Don't you? The challenge in DeKalb, and we can do this, all we got to do. Let me tell you what we need to do to ensure that, not only do we respond to SACS, but that we create an elite school system. All we have to do is develop the talent to understand the power of enlightened self interest. Be self interested about your child. But then, and particularly as leaders develop the ability to be legitimately concerned about the education of other people's children. Let me tell you why. God forbid I get sick one day and have to spend the night at DeKalb Regional or any hospital. But if I do, I want my nurse that comes around to know how to read and write who be scribblin' the medicine. Right? That's why it's important. If you're a business owner, we got business people here. Think about your work force. You want to be profitable 5, 10, 15, 20 years from now. Your future work force is sitting in a classroom somewhere in DeKalb county. You want to sell your widgets and your products and you need people who have the resources and can purchase them. Your future consumers are sitting in a classroom somewhere in DeKalb county right now. Moving to questions. How soon will you make decisions regarding which senior staff, from Dr Atkinson's team, will stay and which will go? We were talking about decentralizing the central office. How soon will we have decisions there? First of all, I allow, whenever I go into a situation, I evaluate current personnel. The biggest mistake that leaders make, and we've seen it over and over again in the media, is you walk in on the first day and you fire everybody that's there. That's a horrible leadership decision. That means I'm going to spend my first six months dealing with the fallout from that type of decision. Plus, there are some people you need and some people you may not need, but you have to be honest and objective in making that evaluation. Is there a plan to develop DeKalb county school's leaders like district principals, or district staff principals. And teachers in alignment with the district's priorities to advance student learning? In other words, have you matched that up yet. The big plan with the development of staff and the evaluations. The first effort you will see is with the F.Y. '14 budget. When you begin to realign the resources to support the prime objective, which is to improve academic achievement, you will see that. There's some things we are looking at that we will change and we are changing to support that effort. But you need a budget to support it. And the fist time I'll have an opportunity to help to develop a budget that I can present to our board members will be F.Y. '14. Any idea when the first draft of that will be? It's an ongoing process now. I'm meeting with my CFO. Money is tight, but I was felt that money was never really the primary challenge. Often times, it's the lack of will, lack of ideas, lack of innovation that prevents all of us from being more successful than what we are now. $750 Million dollars is still a lot of money. If you are focused and if you are purposeful, and if you are committed to a goal or an objective. One question we hear a lot is, well OK. You talk about 138 schools. Do we need fewer? Ramona Tyson had a school closure plan. School closure came up again right before Dr Atkinson left. Is that on the table? Is there a plan to develop which schools? Actually, we are implementing the plan that was actually developed just prior to my coming. By the way, and I see Mr Wilkins here ?? 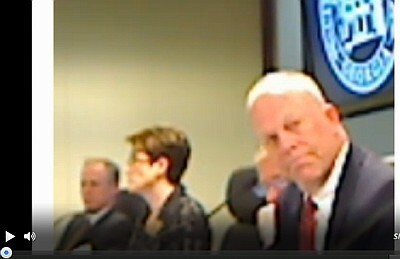 ?, we are currently right now nearly over $200 million dollars in capital projects ongoing in the district right now. We are on the cusp if we can address these other issues, of being able to build a model 21st century school district. A highly diverse, socio-economically demographically all the ways you can do it successful. And I can tell you there are not many models that will be similar to the one we have. But this is what I told the State Board of Education. We're criticized because we're dealing with, unfortunately the issue bubbled up. But if you live in a school district where these issues are not being discussed, then you really need to talk to your school leaders. Because just because you hear about 'em and read about 'em in DeKalb, doesn't mean they don't exist somewhere else. They have not dealt with them yet. The blessing we have is that we have the opportunity to address them in a progressive positive way. No apologies, but we have to learn to be honest and to talk and do what's right for the broader community. Does that mean at this point then, fewer schools? Some will close? Some are closing, yes. Just at the last board meeting, there was a proposal presented to the board which they approved. Coming up we are building three new, seven new elementary schools. 3 of them will start this year in 2013. One question from the audience. What efforts will be made to expand successful academic programs like early college that significantly increase the likelihood of high school to college. You've got some successful models that are operating right now. We do. And I know Georgia Perimeter College is here and they have administered one of those successful models. We have to continue to support the things that are working, but we also have to recognize that success is not just going to college. There has to be multiple avenues to success. I was looking at a study just last week. Nationally, only 20% high school graduates go and graduate from a liberal arts ??? institute. We have to recognize there are technical opportunities, technical colleges, two year colleges, proprietary colleges, that offer avenues of success for our children. As a labor commission I can tell you something. Those young people and if you choose college, great. There's nothing wrong with that. But we have to recognize that not every student may or shouldn't choose college. Right? My parents, 20 years ago, 40 years ago, 50 years ago, all they told us was Go to college. You gotta go to college son. They never talked to me about what the major is. But in that economy, a college degree was almost a guarantee for employment. Right? So, I went to college and I got a degree in philosophy and religion. There were no job openings for philosophers when I got out of college. But, the reality is that technical arenas, even as automobile technician, heating and air, those jobs, many of them pay high salaries. so, we have to learn to celebrate our young people who choose these alternative paths, just as much as we celebrate those who decide to go to college and do well. That's my thought. The CEO has joined us. Welcome Mr Ellis. Good to have you. Are there collaborative operational opportunities, talking about money and innovation, that you can foresee between the school system and the DeKalb county government? Whether it's like fleet management or working in collaboration with some of the county departments or police and sheriff. What kind of opportunities are there if any? The CEO and County Commissioner, I have met with him on more than one occassion, several. 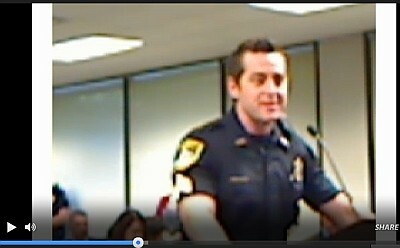 I guess 10 days ago I went and we talked to and met with board members, members of the DeKalb county commission. We all agree that the relationship had not been what it should be. More important than that than belaboring the past, we all committed to work closely together to do what's in the best interest of the children and the tax payers and the citizens of this county. I've been very impressed by the outreach and honesty and sincere ??? I received from the CEO as well as the members of the county commission. And the DeKalb county delegation. Republican and Democrat. Let me just say it, Republican and Democrat have all come forward and offered and are working with us to overcome the challenges that we face. Then one key here, in addition to the leadership, is the parents. That brings up the next question. How do we get the parents involved in the lives of our children? That's an ongoing question in education. But this person says, we are spending about the same amount per child as children in private schools. So, why the difference in results? First, it's important, study after study, go on the internet when you get home and look up parental involvement and academic achievement. Study, study, study show that the individual who has the greatest impact a child's academic achievement is not the Superintendent, not the school board member, not the principal, not the teacher. The individual that has the greatest impact on the success of a child's career are who? Parents. Parents. Fuss all you want about school board members. But the individual that has the greatest impact are parents. We have some strong PTAs and parent councils in the district. But in some schools they are very weak or nonexistent. Look at the schools where you have the highest achievement. One of the things that almost always exist is a strong PTA. Look at the schools that are more challenged and you find that the PTA and the parental involvement is weak. Under Title I there is money that can be used to support improving and strengthening parental involvement. I was disappointed in the plan or lack of plan that we had that focuses on or encourages parental involvement particularly in the high poverty schools. That is going to change. We are looking at developing a plan. Making a difference. I know what you're saying, well some kids don't have a pair. Let me tell you. There's an adult. There's an uncle. There's an aunt. There's big momma. There's somebody that's interested that we can reach out to. Even if it's not 100% of you teachin', one of the big mistakes i think we made, we've allowed politicians like me to shift all of the burden for educating our children on the teachers. It's just not right and the studies show that the greatest influence is whom? Parents. So, stronger PTAs. Then what. And an administration that recognizes that you've got to have a partnership between the school, the parent and the school in order to really be successful. Particularly if you're dealing with young people who come from a more challenging background. If you look at the school whether it's North, South, East or West, whether it's Arabia Mountain or Chamblee or Dunwoody. One of the things that are consistent, regardless of demographics, in those schools that are succeeding and it's successful is strong parental involvement. That's what distinguishes the charter schools. That's the one thing I really like about charter schools is that in order to get a child into charter school, the parent has to commit to do what? And they wonder what it is about charter schools. That is the critical element as to why charter schools and public schools are successful. It's the parental involvement. And we're gonna have to teach it. We're gonna have to understand it. And I gotta tell you this story. One of my favorite things in life was coming home and my dad helping me with my homework. Right? I still remember it to this day. I can see him, even when I'm sitting of there sometimes over in Mountain Industrial sitting with my by desk. I look in the corner and my father who is decease, I can still see him watching. And doing my homework. I was in middle school when my mother told me, you know your daddy can't read or write. I was like, hold up, wait a minute. How ... what ... he can't read or write, but he's been helping me with reading and writing. What I've come to understand as a parent, he could offer me no assistance, technical. But he was present. By his present. The fact that he was present in the room. And I tell my parents I see us when Stephenson played Martin Luther King, I see us. Right? In the stands, shoulder to shoulder. But you also have to be present at PTA and parent teacher conference. Children, young people have to know it's important. I've got parents here. Your son is sitting here today because he knows it's important to you that he is successful in school. Quick yes or no. Will that be one of the criteria by which you evaluate principals for instance when it comes to looking at all of those schools? How they have been able to increase parent involvement? Yes. What we are doing, is we are inventorying for, I think for the first time, the relative strength or weakness of our PTAs at every school. And that's on going. I know Dr Howard working on it. Working with Ms Marcia Cowen who is over PTA. And those PTAs, or parent council that are weak, we are going to come in and provide technical assistance to support them. The teachers are already busy, so we gotta create more resources to strengthen the parent teacher ??? who will ultimately strengthen the classroom where our teachers are. We've talked a lot about focusing on students now. A big part of that is hearing from them. I want to bring up our start students who are going to ask the Superintendent some questions. First we have Kerry Thomas from Arabia Mountain High and Kadeem Tremble from Druid Hills High. I'm Kadeem Tremble from Druid Hills High School. My first question to the Superintendent, is how would you keep up teacher morale although new teachers are working more with less pay? Great question. First, I can't offer them more pay. I can't do it. But, survey after survey with employees, will tell you the primary reason for dissatisfaction with their supervisor is not necessarily pay. It's not feeling like you're appreciated. And so, since I can't offer pay, one of the things we are doing. New Superintendents always come in with new programs, new ideas, more work for teachers to do. I don't know whether you all have noticed, I've not announced my new ... golden ... you know ... quiz bang ... magic wand ... to change academics in the district. What we are doing is inventorying to see what we can eliminate. Some things are mandated by the federal government, some are mandated by the state. But things that we have control over, I've directed the people at the senior level to inventory what we are doing and things that we can eliminate will be eliminated before we go forward. Good morning everyone. My name is Kerrie Thomas. I'm from Arabia Mountain High School. My first question is, with a change in leadership obviously there is going to be a change within the schools. What kind of effect do you see as far as students are concerned from this year to the next year? First, the part of the job I enjoy the most is interacting with the students. I was at Arabia Mountain last week. I was telling somebody coming in. It's exhilarating being around young people who have limitless potential. One of the things I hope to be, working with my student adviser councils, students. I want to know and be a part of their decision making, their careers and to support them. And I want us to enjoy what we do. I want to find employees to continue to enjoy your work. And to recognize that your work is important and that you're important. The attitude. There was a cloud hanging over the district when I came. And so what we had to do early was try to lift that cloud and let people know that we are all in it together. And the one thing I did tell them, I will not lie to you. I will be honest. I will tell you the truth as I see it. And one of the truths that I will tell you, I see a way forward from the challenges that we face. To piggy back on the question about old teahcers leaving and new teachers coming in, what is in place to teach and train the new teachers how to deal with classroom management and other obstacles they might face? That goes with us having a better understanding of the population that we are serving. And then providing Dr Howe, we talked about this yesterday. Technical support and expertise and finding schools where it's working. Asset driven strategies. Find those schools that are succeeding and model and emulate what they are doing and allow them to teach and train other teachers and principals how to do it. We really don't have to reinvent the this wheel. There are schools in this district and all over this country dealing with similar population. And being very successful with it. It's not an impossibility. It's not a mountain to high. Earlier you talked about how much DeKalb county school system has changed regarding its demographics. From a student's perspective a change in technology is also taking place but is not necessarily at a great pace. During Clinton's administration, they called for an investment in technology. That's something that's been pushed nationally ever since. In your fiscal plan, how are you planning to advance technology with the schools? I want to thank the voters for approving the most recent ESPLOST. Included in that I think was $40 million dollars that will be invested in improving technology throughout the district. Right now we are already working in 37 schools to install wireless connectivity. 7 have been completed. We expect to have the entire district completed by September this year. And 100% connectivity on hard wire. We're gonna have smart boards in every classroom. The money has already, you all voted for it, and it is being implemented as we speak. And this will maintain DeKalb's position as a state, regional and national leader in technological innovation in our schools. You can put 100 ipads in a classroom, but if you don't have an adequate teacher to teach the information to the student, how would you keep the seasoned teachers in the classroom? We have teachers that love DeKalb county. And sometimes, when it's a difficult decision, no matter how much you love teaching, you still have to pay your bills. Often times our teachers may leave DeKalb to go to other districts. What we are doing, what I'm going to try and do going forward. Number one, maintain as many of our veteran teachers as possible. But also, to build a cadre of new teachers who are motivated and understand they are a part of something. One of the things I would say is, remember who is in the room when the times were hard. Remember who stayed with you when your business was just starting and when you weren't getting your bills paid, or when began your political career and no one knew who you were or what your name was. Those are the people you want by your side. So, what I'm saying to the stake holders and teachers and everyone in DeKalb, remember who was in the room cause in the near future, DeKalb will be recognized as a national model for how you deal with highly diverse, very different socio-economic group. You can't see it now, but you'll see it. You'll come back and say, Yeah, you told me. This is where we are going. This is the direction we're moving in. Sometimes we see challenges that in life, but sometimes your blessings are a disguise. Out of controversy and conflict, you can create great opportunity. I think that is what is happening here in DeKalb. Another thing about teachers leaving. A lot of them that I know of say that they think that it's parents. How do you want to improve parent involvement like PTA and expand programs and communications between teacher and parents? I agree with you 100%. If you look throughout the district, and one of the other ways this manifests itself, is in this whole North/South divide. Part of the narrative is, and some of it's true is that schools in the North have more resources than schools in the South. That is the demarcation line in DeKalb county. Bridging that will be a challenge. But let me tell you one of the things that going to your question. You might walk into Fernbank or one of the schools in the North and you might see all new band equipment. Right? And the first thought is Michael Thurmond sent a check to the north side to buy new band equipment, but he didn't send one down south side. What we ignore is, through PTAs, parents raise and contribute hundreds of thousands of dollars to support the education. They do. That help creates dissension in the district because you have some schools where you have really outstanding parental involvement and then you have some where there is not. What you are seeing is the dichotomy in funding but not necessarily from the central office. I know what you're thinking. Obviously some parents. I have more money to contribute than another parent. You've got to recognize that. That's why we have to put in support. I've also done a whole lot of men day and women day speeches. We raise a lot of money don't we. Some folk don't get that. Alright ... I'll leave that. You talked about finding a new Superintendent. How long will you be in this job as interim and would you be interested in the job permanently? I came to help. I'm on leave from my law firm, but what I said the first day when Marshal Orson and those called me over and Jim. I'm here to help. That's what I'm here to do. As long as they need me to help, I'll help. As the interim, I know I have some tough decisions to make. The next Superintendent shouldn't be burden with some of the tough decisions that I'm going to have to make. That's one of the reasons, part of the strategy that I came as an interim. I'm not here trying to make a way for the future. These issues have to be addressed now and that will increase the probability of success for your next Superintendent. So there's no definite timeline? It's just as long as it takes? I have a 12 month contract. Robert Brown was the monitor from the Governor's office. He's here. Just as a quick example to follow up. One of the neighboring districts, Earl Davis came in for what he thought was going to be a particular period of time and he's staying just a little longer. Is that something you're thinking "OK. After 12 months I might have to stick around"? No, no. I'm here to do what I was called to do. I'll be honest with you. The morning Marshal and those called me, I didn't wake up. I wonder if they are going to call me over at the DeKalb school district. That was not on my agenda. But I believe the steps are ordered, I'm here for a purpose, for a moment and to do a certain job. And then I'll be perfectly willing to go back to doing what I was doing before they called. Will there have to be a Superintendent in place before you go? Absolutely. You can't leave the job vacant. We'll have a great Superintendent in place. And he or she won't come into the situation that I walked in to. People deserve better than that. That will give the next Superintendent a much greater probability of success.